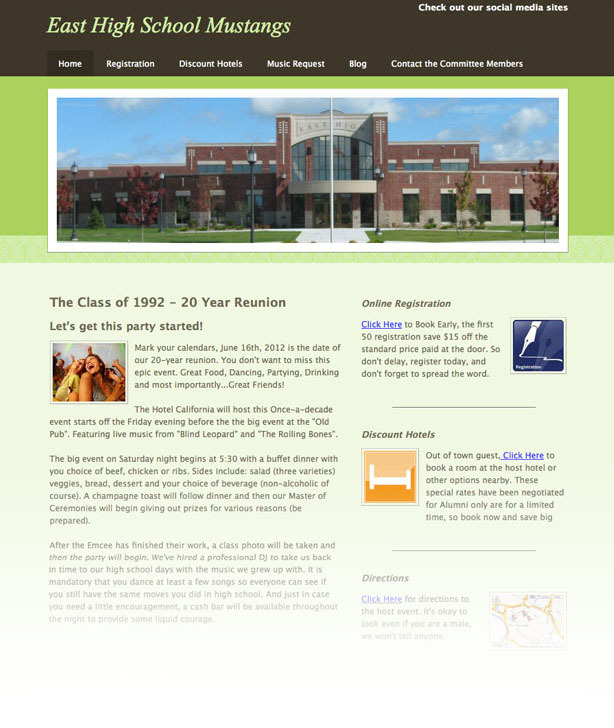 Reunion Coordinator builds your class a custom reunion website containing all the information Alumni need to know about the reunion. The site also has a page allowing Alumni to securely register to attend the reunion for a fee set by the committee to cover related costs using any major credit/debit card. The site also allows Alumni to give their music requests, upload photos that can be shown during the reunion, book discounted hotel reservations for out-of-town guests, contact the committee for suggestions or comments on the reunion, and so much more.